The city is getting its first Starbucks cafe. On the heels of its controversial #RaceTogether campaign that had baristas starting conversations about race with customers while preparing their lattes, Starbucks CEO Howard Schultz has announced plans to open a cafe in Ferguson, MO. Ferguson was the scene of demonstrations after the shooting death of Michael Brown during a confrontation with former police officer Darren Wilson. This will be the first Starbucks in Ferguson, though there are more than a half dozen cafes in nearby towns and at the Lambert-St. Louis International Airport. Schultz made the announcement at an event, NationSwell, that’s focused on issues of equality and workers’ rights. “After his on-stage interview, Schultz told Fortune that there was no specific timeline for the opening of a Ferguson store, and he declined to provide more information about plans for the location there. A Starbucks spokesperson did not provide an opening date but said that the Ferguson store is ‘part of our plan to build more stores in urban neighborhoods,'” the magazine writes. 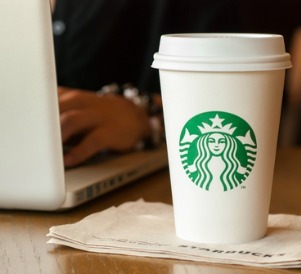 Fortune cites sources that show most Starbucks cafes are in neighborhoods that are predominantly white. Despite this and the harsh criticism and ridicule the company received when it launched the #RaceTogether campaign, this move shows that, just as Schultz stated before, he is committed to this issue and will continue to talk about. Just because the company is backing up its campaign with additional effort doesn’t mean that there will be huge success in the future. Much of the problem with #RaceTogether so far (as we see it) comes from the company’s failure to partner with a person or group who knows more about this issue than they do. Race Forward, a civil rights group, has offered to partner with Starbucks on the initiative, for instance. But Schultz says he’s opening the cafe to also offer employment opportunity to a city that needs it. That’s a practical goal that Starbucks can achieve on its own. Any thoughts about what Starbucks should do?